It’s hard to believe (especially today) that there was a time after the original trilogy when Star Wars wasn’t everywhere. After Return of the Jedi left theaters, it appeared the story of the Skywalker family was complete, and everyone moved on. Except fans couldn’t. 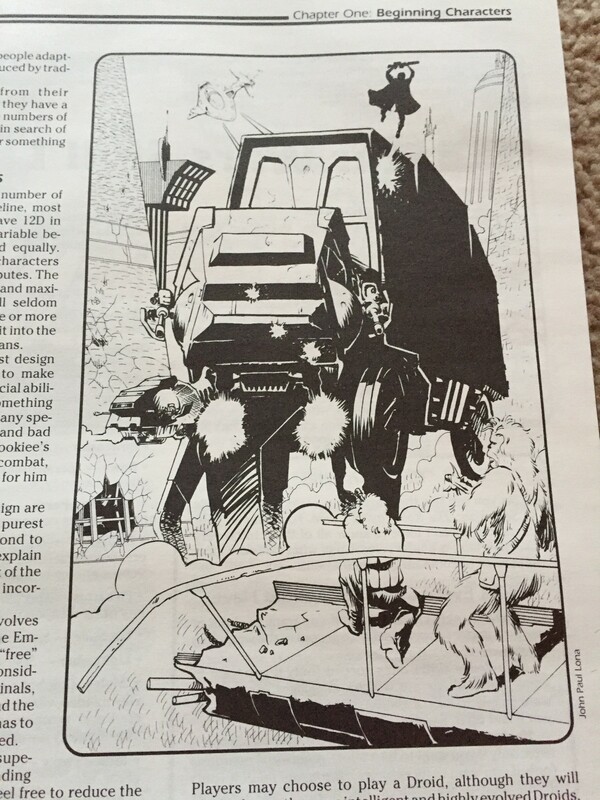 People still wanted to be part of the universe that George Lucas created, and in 1987, West End Games gave them the chance. 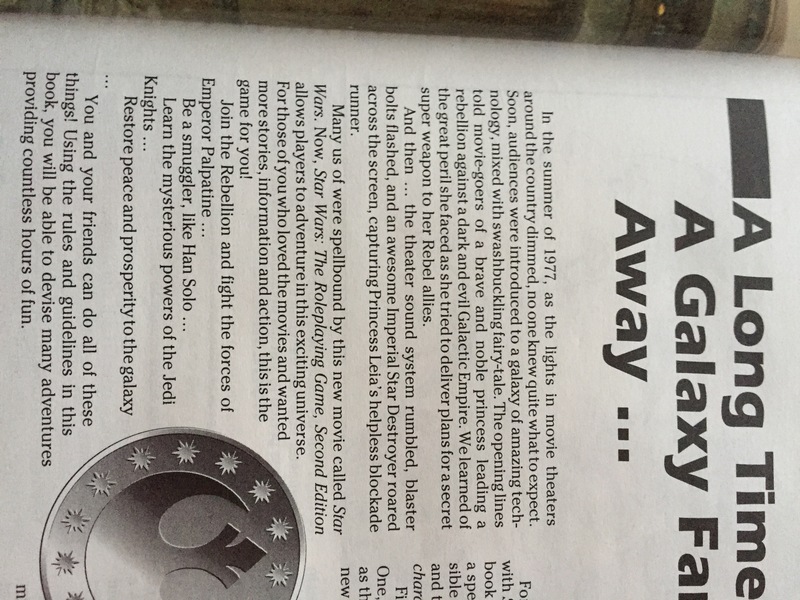 Now, the Star Wars Roleplaying Game predated my fandom by almost a decade, but I can only imagine how welcome this game was for fans craving more Star Wars lore and adventures. 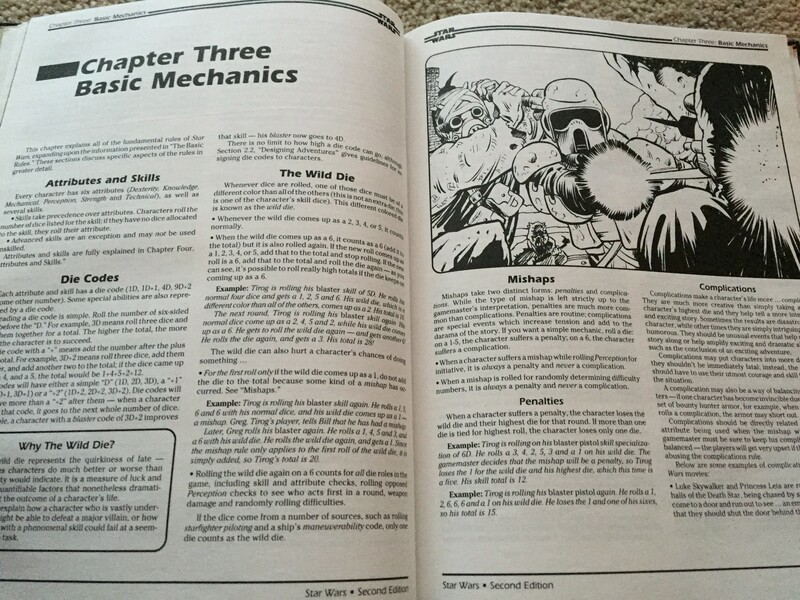 I recently acquired a Second Edition handbook (from 1992), and it’s been a blast to flip through. For the most part, the new art in the book is very Star Wars and very awesome. 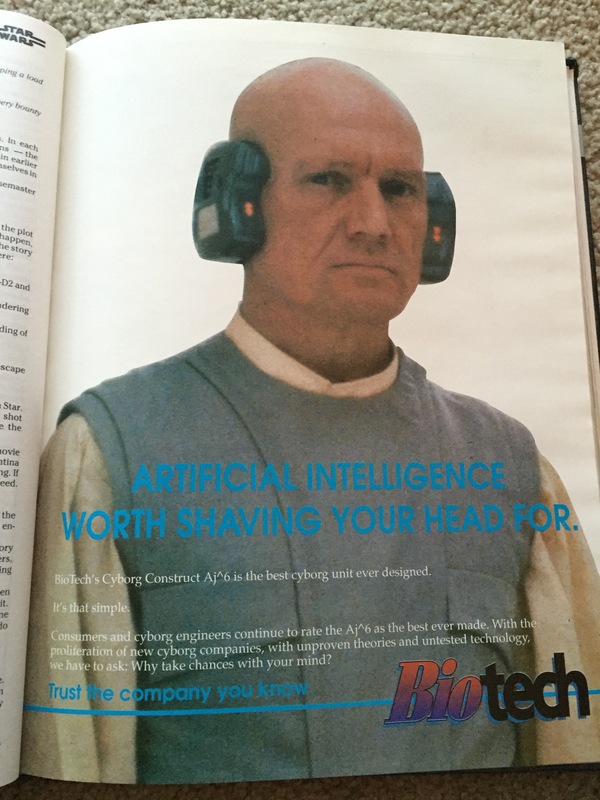 The highlight of the book to me, however, are the full-color fake ads interspersed throughout. Even with no intention of ever actually playing the game (though I’m certainly not opposed to the idea! 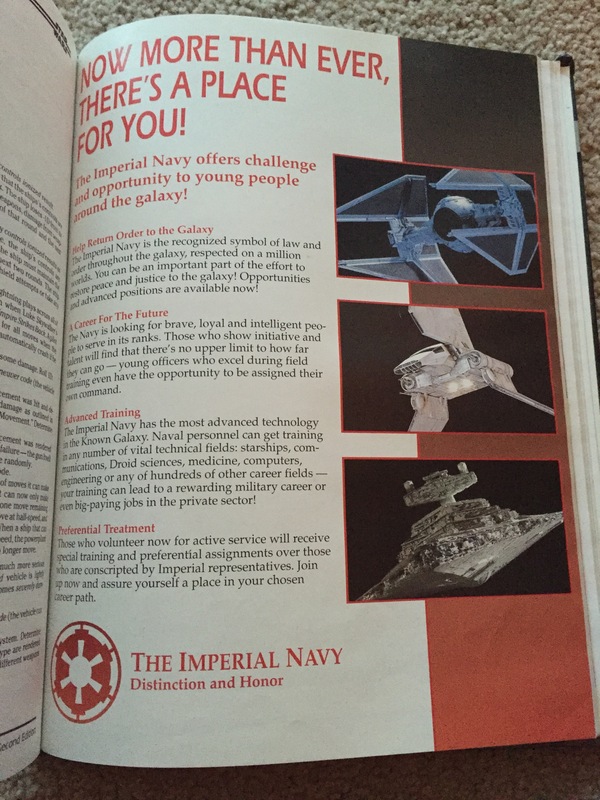 ), it’s been awesome reading through this Second Edition handbook. There is a ton more art beyond what I’ve posted here (including more ads), and it’s fun to read some of the early lore that served as the basis for the EU. 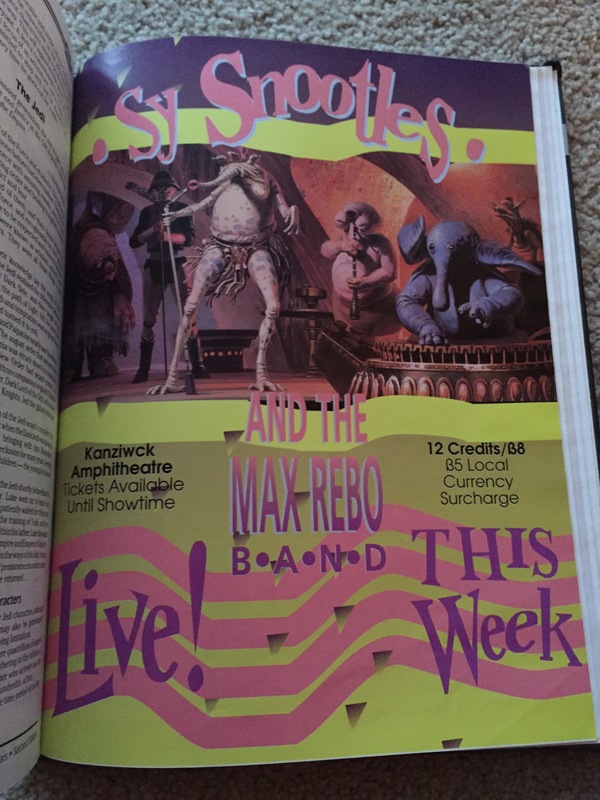 If you’re at all interested in this important corner of Star Wars history, I’d highly recommend tracking down a copy. 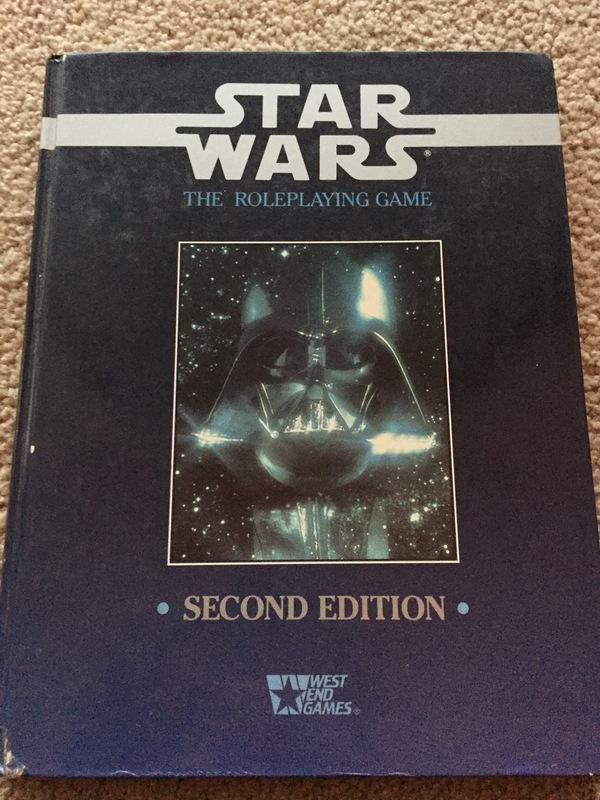 Categories: Star Wars, The Roleplaying Game | Tags: 1992, Second Edition, Star Wars The Roleplaying Game, West End Games | Permalink.